Isla Nublar is now open and is a fully functional dinosaur world. Park manager Claire (Bryce Dallas Howard), a busy professional woman, invites nephews Gray (Ty Simpkins) and Zach (Nick Robinson) to the Island. Despite the interest and hype about the park, attendance is down causing the park owner, along with scientists, to introduce DNA splicing to create hybrid dinosaurs. You can see where this is going, right? The need for a fiercer dinosaur to boost numbers causes them to create a new species called the Indominus Rex. Owen (Chris Pratt), the park’s Velociraptor Specialist is brought in to inspect the iRex’s enclosure. When the dinosaur escapes, Owen and Claire team up to protect the people and try to save Jurassic World. With his Indiana Jones persona and witty charisma, Chris Pratt shines as Owen. Bryce Dallas Howard’s character starts as a somewhat typically annoying damsel in distress, but she eventually gets her hands dirty. Howard and Pratt’s chemistry certainly brings warmth and humour to the film although the romance between the two characters does feel like it is meeting a generic film criterion. Special mention should be given to Jake Johnson as Lowery. The geeky park’s technician provides comic relief and breaks up the intense dinosaur scenes in the film. There are several nods to the original films, one in particular that will make fans of Jurassic Park grin (no spoilers, though!). The movie is somewhat predictable at times, but it doesn’t detract from the overall impact of the film. It does, however, leave the audience feeling like an excited kid all over again, if they’ve grown up with the films, and with a sense of happy nostalgia if they experienced the franchise as adults. Filled with extraordinary imagery and outstanding CGI, a complete contrast to the animatronic dinosaurs in the old films, Jurassic World is an action-packed must-see, especially in 3D. 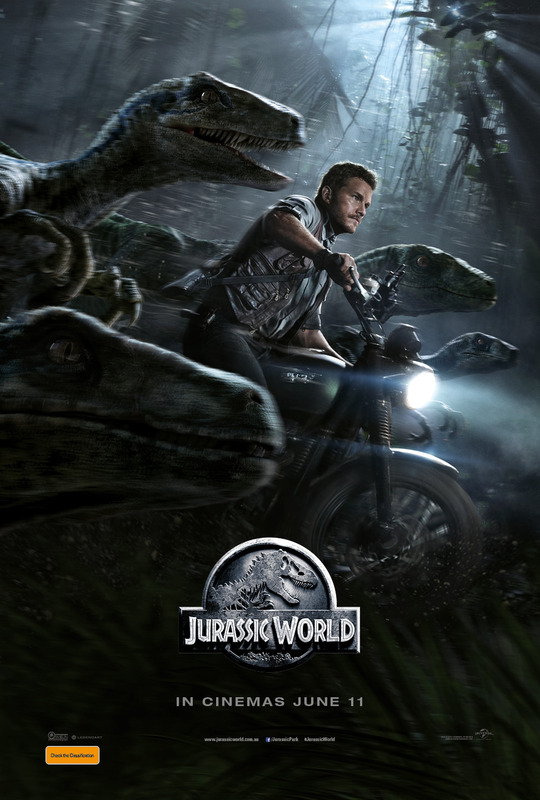 Posted in Film, Reviews, What's on in Adelaide and tagged Adelaide, Jurassic World, Review. Bookmark the permalink.